You are welcome to come and try for size, I can stick some wheels on it. Or I can provide more measurements. Frame and Fork: Steel 49cm down tube (c-t) 52cm top tube (c-c). The pearlescent Bianchi paint is bit tatty but the frame is in good order. Ovalised steel down tube is something a little unusual too. Groupset: 10-speed Shimano 105 with Ultegra brakes and a Sram compact chainset. Deada Seatpost and stem, with compact drop bars. 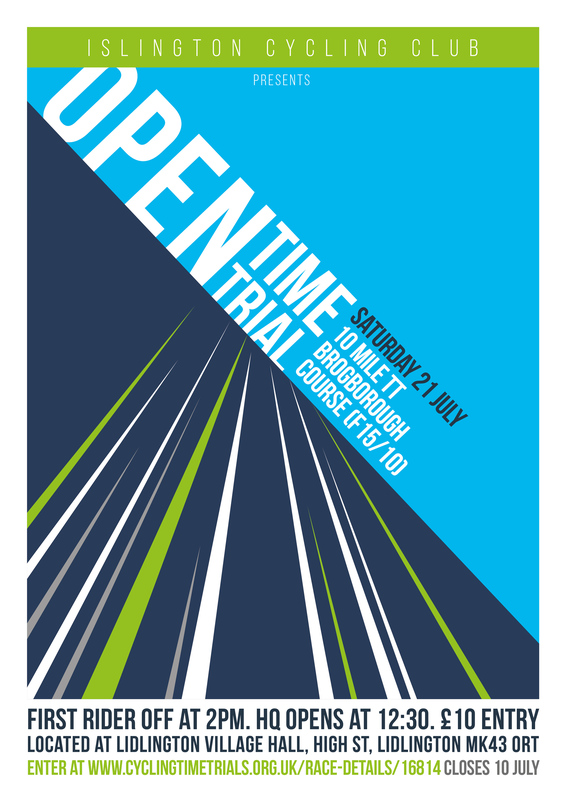 Islington CC's 2018 Open Time Trial on Saturday 21 July. This year’s event will be held on the Brogborough 10 mile course (code F15/10) and starts at 2pm. As for last year, the HQ will be Lidlington Village Hall. There will be mens and womens competitions with equal prize funds and 50% of places are reserved for women (male riders will be allocated these places if the women's field is not full). For those of you who don't know us, we a re a super fiendly club and this would be an excellent event to try out your first Open Time Trial. If you have any questions, just ask! Sign up via the CTT website. 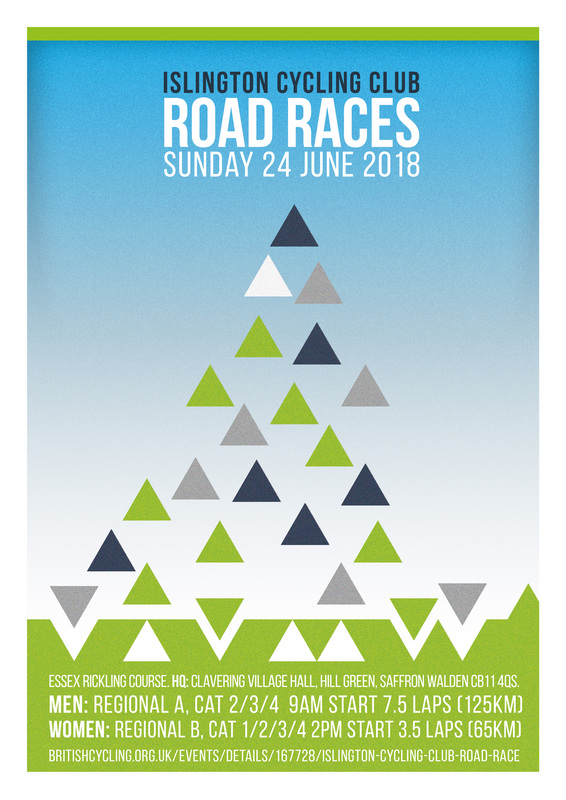 Fresh from the massive success of our road races in 2017, ICC are running road races for men and women on Sunday 24 June 2018. This will again take place on the Rickling course. The men's race is part of the Eastern Road Race League (ERRL). We have applied for the women's race to form part of the Women's Eastern Racing League (WERL), it is also being promoted in conjunction with VC Norwich to form a 2-day women's stage race on consecutive days (23rd and 24th June). Points will be awarded in both races for a combined prize. You may enter either race or both. Entries via the British Cycling website. You get an extra bonus 5km this year as the route was extended to avoid a clash with a local RR.